Mango and passionfruit. A classic combination and one that’s sure to remind you of nights out drinking irresistible fruity cocktails on the beach under the warm summer sun. 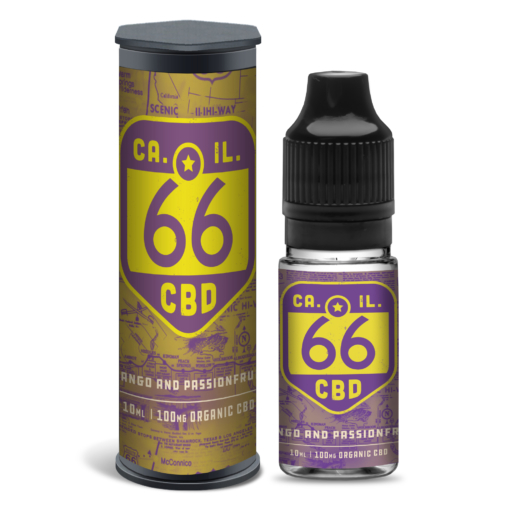 Well, thanks to our Route 66 Mango and Passionfruit CBD e-liquid, you can close your eyes and relive the experience – but with all the health advantages brought to you by CBD oil. This 10ml bottle with 100mg of CBD uses a 40/60 base ratio of vegetable glycerine and propylene glycol to provide you with both big clouds on the exhale and also a pleasurable throat-hit. 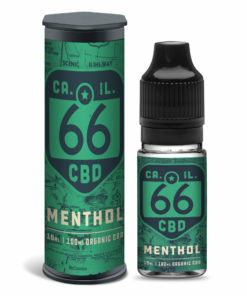 And if, by chance, you find our CBD oil a little too strong the first time you try it, remember that you can always dilute it before use for a little less intensity. It’s hard to say no to our Route 66 Mango and Passionfruit CBD Oil, but don’t forget that we’ve got many other flavours available such as our Route 66 Sparkling Champers CBD Oil. Our ISO grade clean room ensures medical grade product quality.